Happy Wednesday and welcome to Sew Stitch Snap SHARE. 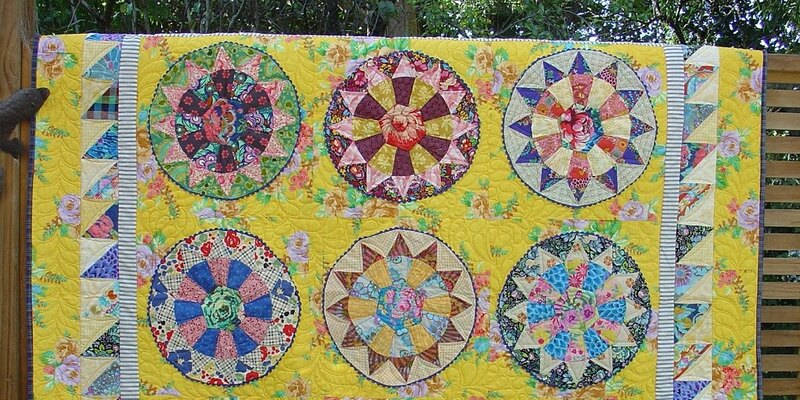 This week I've been busy with my improv 'floral medallion' quilt. I had made up four borders to surround my central floral piece (see back here ) but then I felt a little unsure about what to do next. I promised my daughter I wouldn't buy anything extra for this quilt, and that I would 'shop my stash' instead, and she has checked in often to see that I stick to it too! So it was back to my stash baskets for something that would carry over my colour(s). I tried not to overthink the whole improv process, and this next border ended up as two simple rows of 'square in a square' liberated blocks inspired by Gwen Marston. Gwen's method proved very forgiving when it came to fitting the borders around what I had already pieced so far, there was lots of extra background for trimming. 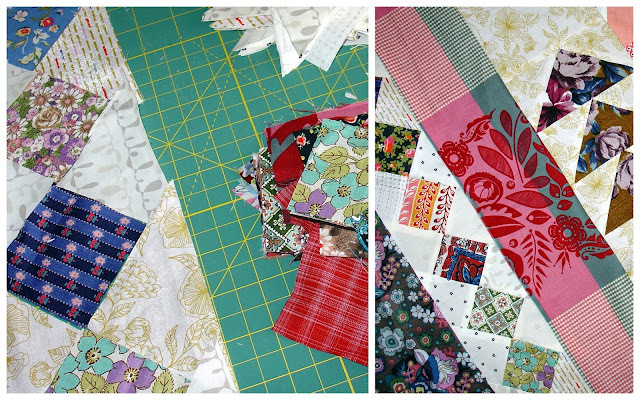 I decided to use more of my quirky vintage fabrics that I had used in the crazy pieced 2nd border, along with an assortment of low volumes with a hint of yellow/gold. My final border was an AMH fabric 'Baby Bouquet' from her Folk Song collection. It's a bit different, with it's bright funky fabric mix, no pattern but vaguely log cabin style, and I think I prefer it to the technically perfect! The quilt top ended up quite large so it's gone today to the quilters. Oh, and I did do it . . . no new fabric was bought during the making of this quilt! A little bit of news about our regular fortnightly link up before we get into the fun show and tell. Julie and I have decided to alternate hosting this link up, beginning Wednesday 2 May with me here at kokaquilts hosting the next one. This gives us a little less pressure to continually be creating, and to be able to focus on family, friends and food oops, life! Brilliant. I’ve enjoyed following your process on this quilt. Thanks for sharing! I've used square in a square blocks for borders and I love them. Well done for sticking to shopping your stash. The top is looking great, hope your daughter approves. Fantastic!! 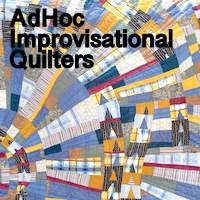 It's a quilt I could keep on looking at over and over again! Although I thought finishing with the red border would be good I am happy that you didn't, the additions are the icing on the cake. You must be enjoying have a stair railing for photos now. Fancy not being able to buy new fabrics for your quilt!!! I do admire your improv work. I like the addition of the square in a square blocks. Congrats on a fun and funky finished top. Great job, Linda! Again I like that your square in a square blocks repeat fabrics you've already used;it gives things a nice rhythm. And well done too for only using your stash. I truly completely love this latest piece of yours. Inventive yet reassuring, comforting but exciting -- not an easy thing to pull off (especially using only your stash - but then sometimes a limitation like that makes us stretch a bit further and create something extra special). Oh, it looks sooooo inviting. I want to curl up in it with a good book and a cup of tea! - A true comfort quilt! Lovely end result. i am impressed that you were able to stick to your stash for the whole quilt. That is amazing. does this go with that?